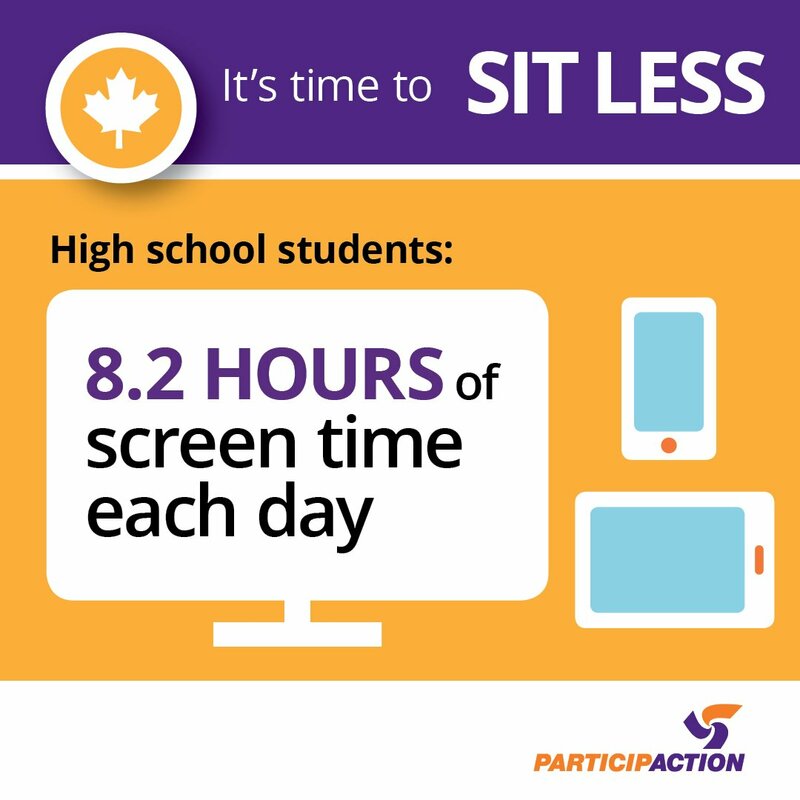 It’s time to sit less! Published on October 16, 2017 in Generale, Giovani and Stress. 0 Comments Tags: Scuola, sedentarietà, seduti, studenti. Is sport for all a lost war? Published on August 30, 2017 in Corsa, Generale and Stress. 0 Comments Tags: malattie, morte, PHE, sedentarietà, sport per tutti, UK. “Over 6.3 million adults aged 40 to 60 do not achieve 10 minutes of continuous brisk walking over the course of a month and are missing out on important health benefits, according to the Public Health England (PHE) 10 minutes brisk walking recommendations: evidence summary. The findings also reveal how lifestyles have changed over time, showing that people in the UK are 20% less active now than they were in the 1960s and on average walk 15 miles less a year than 2 decades ago. The sedentary nature of modern, busy lives makes it difficult for many to find the time for enough exercise to benefit their health. PHE’s new One You physical activity campaign is encouraging adults to build 10 minutes continuous brisk walking into their day as a simple way to improve their health. This is particularly aimed at those who have an inactive or low activity lifestyle and may find incorporating activity into their day challenging. The ‘Active 10’ app has been developed to show how much brisk walking a person is doing each day and how to incorporate more of it into their lifestyles. Published on July 21, 2017 in Generale and Stress. 0 Comments Tags: movimento, pigrizia, sedentarietà, stile di vita. 19 years have passed from this interview on sedentary lifestyle but I would say the suggested tips to become more active are still valid. Published on June 13, 2017 in Generale and Stress. 0 Comments Tags: americani, cuore, diabete, obesità, sedentarietà, sovrappeso. Unfortunately, the vast majority of Americans don’t get enough exercise and a growing segment doesn’t get any exercise. Technology has allowed us to get by with less and less physical activity. Seventy-five years ago, it was very difficult to even make a living sitting down, but nowadays more and more people work sedentary jobs where they are seated a big portion of the day—and their bodies are rebelling for it! Diabetes is on the increase and predicted to affect 1 in 3 people by 2050. In 2017, US-NIH will launch a huge study to document in detail exactly what is happening in the body when exercising and prove that exercise is medicine. The six-year, $170 million study will follow 3,000 sedentary people ranging from children to the elderly as they embark on an exercise program. A control group, who will remain sedentary, will also be tracked for comparison. Published on April 6, 2017 in Generale. 0 Comments Tags: attività fisica, giorno, movimento, muoversi, sedentarietà. 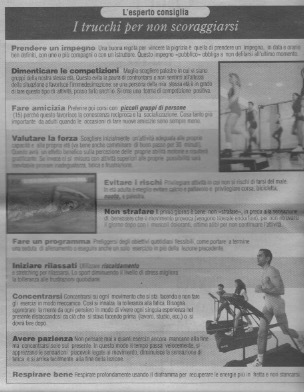 The terrible numbers of the Italian sport: sedentary win! Published on March 2, 2017 in Generale and Stress. 0 Comments Tags: Coni, Istat, sedentarietà, UISP. The numbers of the survey regarding the sport practice in Italy by Coni and Istat, show that the sedentary continue to be too many and that the percentage of people doing sport or physical activity does not show significant improvements in all age groups. We certainly cannot be satisfied. These data continue to highlight that Italy is split in two in terms of sport and during the last 18 years the improvement has been really small (8%). This data highlights the lack of national policies for the development of a physically active lifestyle. Sport and physical activity continue to be regarded as leisure activities and not as primary factors for the development of individual and social wellbeing. On the other hand these data were presented without the major sports organizations have denounced their seriousness and the adverse effect they produce on the health of citizens. Published on February 13, 2017 in Generale. 0 Comments Tags: epilessia, regione Lazio, sedentarietà, sport. Epilepsy and sports is still a relation not well investigated and especially little practiced. This is because many people continue to believe that sports can be a stress that trigger seizures. Research has shown that this probability is smaller in relation to physical activity than it is on normal daily activities. The question is not about whether playing sports, it regards what are the recommended sports and ones to avoid and how to obtain the medical certification at least to practice non-competitive sports. Also, it needs to remember that a forced sedentary lifestyle causes other problems, typical in those who don’t practice sports as cardio-circulatory problems, type-2 diabetes, breast and colon cancer as well as psychopathological disorders (depression and anxiety). The epilepsy day world should be a time of reflection and proposals on these issues, which will be tackled effectively not individually but only with collaborative networks among the families of these patients, the healthcare system, sports clubs and psychologists and medical experts. Does it exist in Italy a diffuse sport culture? Published on November 29, 2016 in Calcio, Corsa, Generale, Giovani, Tennis and Tiro a volo. 0 Comments Tags: dieta, educazione fisica, genitori, insegnanti., peso, scienze motorie, Scuola, sedentarietà. Is it possible that one Country with the highest rate of overweight and obese children in Europe, and with a high percentage of sedentary adults be considered a Country with widespread sports culture, defined and shared? Could it be that it is precisely the model of the sedentary parent to determine the overweight children? Could it be that it is the absence of physical activity in kindergartens and primary schools to determine the belief that sport and movement are something of peripheral in the well-being of a young development? Could it be to bring the children to play outdoors is regarded as exhausting ,while it is easier to let them to watch cartoons or to play with the play station? Could it be to assess the degree in sport science and Prof of physical education as graduates and teachers of lesser value than the other school colleagues, does not serve to continue to depreciate the value of human development through movement? Could it be that to consider sport as a leisure activity and not as an activity that also permit to improve academic performance leads to its chronic underestimation by the school and parents? Could it be that if the parents does not share the sport with their children and friends is a way to not get them to play outdoors? Published on September 2, 2016 in Generale and Stress. 0 Comments Tags: costo, inattività, Lancet, malattia, Melody Ding, salute, sanità, sedentarietà. Physical inactivity – a global pandemic that requires global action.A world-first study has revealed that in 2013, physical inactivity cost INT $67.5 billion globally in healthcare expenditure and lost productivity, revealing the enormous economic burden of an increasingly sedentary world. The study, published today in The Lancet, was led by Dr Melody Ding from University of Sydney, leader of the current Lancet physical activity series. This study provides the first-ever global estimate of the financial cost of physical inactivity by examining the direct health-care cost, productivity losses, and disability-adjusted life years (DALYs) for five major non-communicable diseases attributable to inactivity: coronary heart disease, stroke, type 2 diabetes, breast cancer and colon cancer. Based on data from 142 countries, representing 93.2 per cent of the world’s population, the researchers conservatively estimated that in 2013 the effect of physical inactivity on these diseases and all-cause mortality cost the world economy more than INT$67.5 billion. “Physical inactivity is recognized as a global pandemic that not only leads to diseases and early deaths, but imposes a major burden to the economy,” said lead author Dr Melody Ding, Senior Research Fellow from the University’s School of Public Health.